Scapolite, also known as wernerite, is a group of silicate minerals related to feldspars and of variable chemical composition. 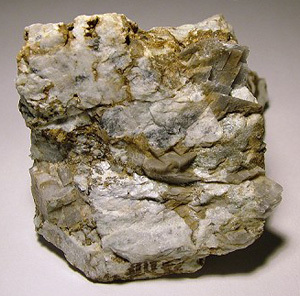 They are common in metamorphosed limestones and are gray and glassy in appearance. Hardness 5–6; relative density 2.7.